John Gilbert (Gib) Reese, age 93, of Newark and Granville, died November 20, 2018 at Kendal at Granville. Born in Newark, Ohio on July 7, 1925 to Everett David and Martha Grace Miller Reese. Graduate of Phillips Academy (1943), Andover, Massachusetts, Bachelor of Arts from The Ohio State University (1949) and Juris Doctor from The Ohio State University College of Law (1952). Admitted to the Ohio Bar in 1952. Also a member of the American and Licking County Bar Associations. Married to Louella (Lou) Catherine Hodges Reese (1951) for more than 67 years. Father of two sons; Gilbert Hodges (Randa) Reese, Lucius Everett Reese and three daughters, Martha Grace (Cyrus White) Reese, Sarah Reese (John) Wallace and Megan Reese (Eric) Edwards. Grandfather of twelve; Elizabeth Harman, Sally Wallace Heckman, Gib and Gerry Wallace, Alex and Cate Reese, Madeline and Olivia Reese and Reed Grabill, Reese, Phoebe and Luke Edwards and four great-grandchildren. Also survived by siblings; Phoebe Reese Lewis and Thekla Reese (Don) Shackelford and brother David Everett (Weezie) Reese, as well as 10 nieces and nephews. After graduation from Andover, Gib served for 32 months in the United States Army Medical Corp in World War II. After completing his formal education, he returned to Newark to begin his practice of law. He is the founding partner of the Newark law firm of Reese, Pyle & Meyer, P.L.L. Gib had longtime business associations with The Park National Bank, Newark, Park National Corporation, First Federal Savings and Loan Association of Newark (Board Chair), Freight Service, Inc., United Carriers Corporation. 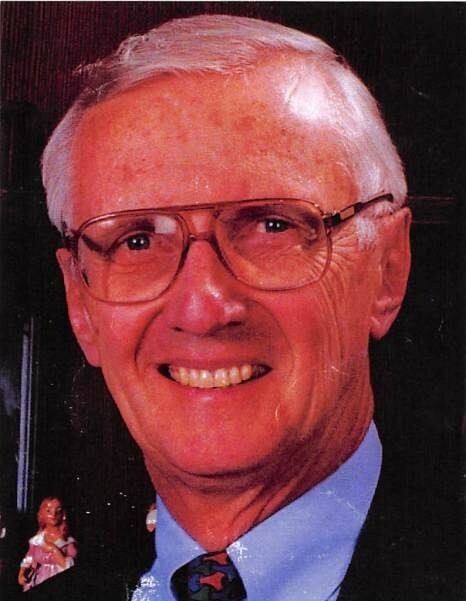 He served as the Board Chairman of the National Council OSU College of Law (1972-78), the Thomas J. Evans Foundation (1965-2009), Central Ohio Technical College (1973-77), the Licking County Foundation (1980-82 and 1989-90), Newark Campus Development Fund (1983-2009) and Licking Memorial Health Systems (1989-1998). Gib also served as a trustee of Columbus Museum of Art, The Works, YMCA of Newark and Licking County, Columbus College of Art & Design, Licking County Memorial Hospital, Dawes Arboretum, the Newark Area Chamber of Commerce and as a director of Alltel and Shaw Barton in Coshocton. His public service included Newark City Safety Director (1955), Newark City Council (1956-57), Newark Law Director (1958-61), Ohio Board of Regents (1996-2005) and a Life Member of the 6th Circuit Federal Judicial Conference. He was the recipient of numerous honors, including the Community Service Award for 2000 by The Ohio State University, The Distinguished Alumnus Award of 1979 by College of Law at The Ohio State University, the 2013 Everett D. Reese Medal with his wife Louella H. Reese by The Ohio State University, the Licking Memorial Health Systems Lifetime Achievement Award and Outstanding Man of the Year-Junior Chamber of Commerce (1955), the Legends of Loyalty Award Winner at Central Ohio Technical College and the Maureen C. Grady Award for Special Achievement from the Ohio Association of Community Colleges. Gib’s personal side is also to be celebrated. Gib adored his childhood in Newark. Climbing trees, exploring and making adventures of every kind with his large group of unkempt friends. They roller skated all over town and were once caught at the Pennsylvania Railroad Station grabbing rides on the trains on their skates – very dangerous but it was a typical afternoon activity. Every little boy had a hatchet and a pocket knife that kept them whittling and pruning everything in sight. Baths were not an integral part of daily life so all little boys smelled sweaty and stale. Those were happy times.